USER SCORE:98%The percentage of users who liked this based on high quality reviews from sources such as Google Play, iTunes, and Amazon Music. Above 75% is green. ? 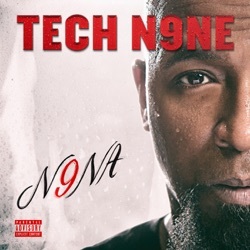 N9na is the 13th studio album by Tech N9ne, released Strange Music on April 19, 2019. Tech N9ne!! He always delivers the awesome music. Hell yes So unbelievably pumped for this album. Exactly what I’ve been waiting for.